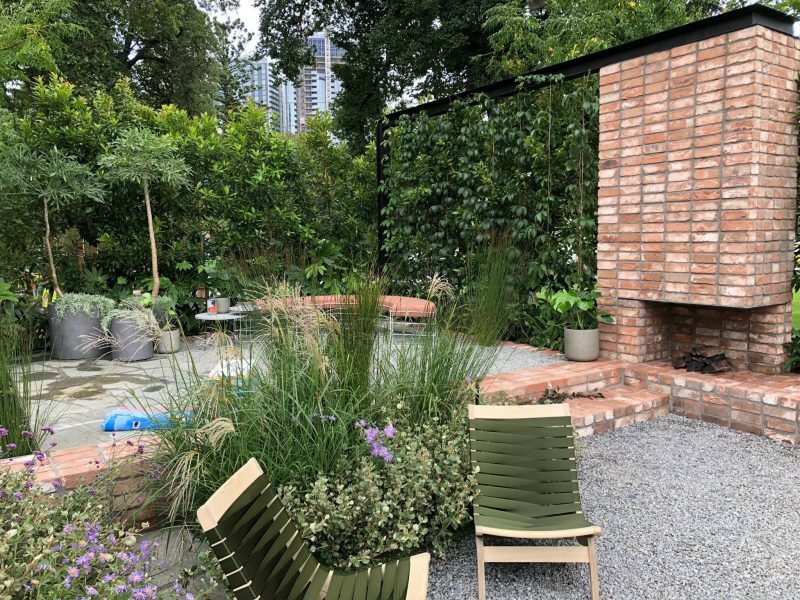 To mark the occasion of Australian House & Garden magazine’s 70th anniversary, editor in chief, Lisa Green invited longtime collaborators Eckersley Garden Architecture to design a contemporary garden that pays homage to the Australian backyard, and its many incarnations and uses over time. 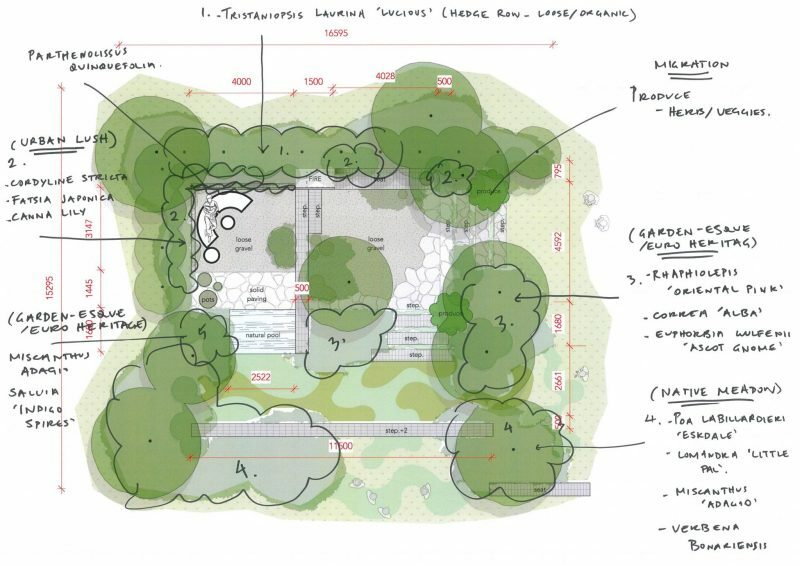 Our response was to propose an Australian Case Study Garden, “a bit of a mongrel”, referencing plants and materials seen in our gardens over the past seven decades to create a contemporary garden. Importantly, the design used materials and plants accessible to all. 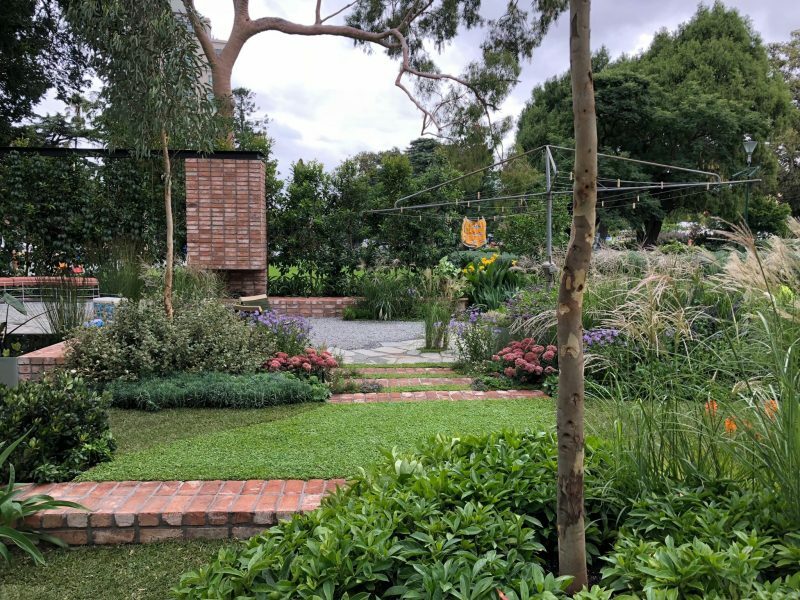 From the veggie patch to the fruit trees, native plantings and ornamental shrubs to an outdoor fire/BBQ, recognisable elements have been given a modern makeover. There’s enough lawn for a cricket game, a brick front fence, a pond and gum trees. Naturally. 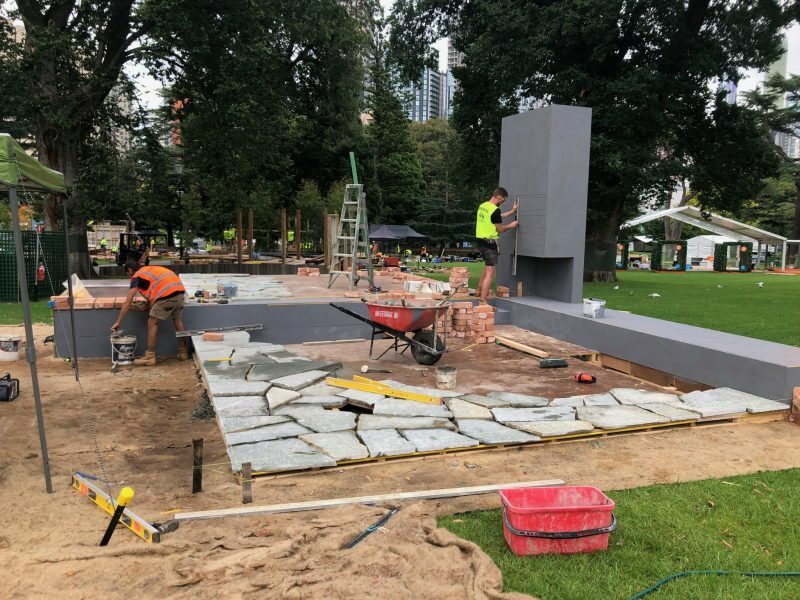 The amazing crew at Canterbury Landscapes – hard at work. Mulch and gravel from Burdett’s, Luca crazy paving from Eco Outdoor and San Selmo Reclaimed bricks from Brickworks. 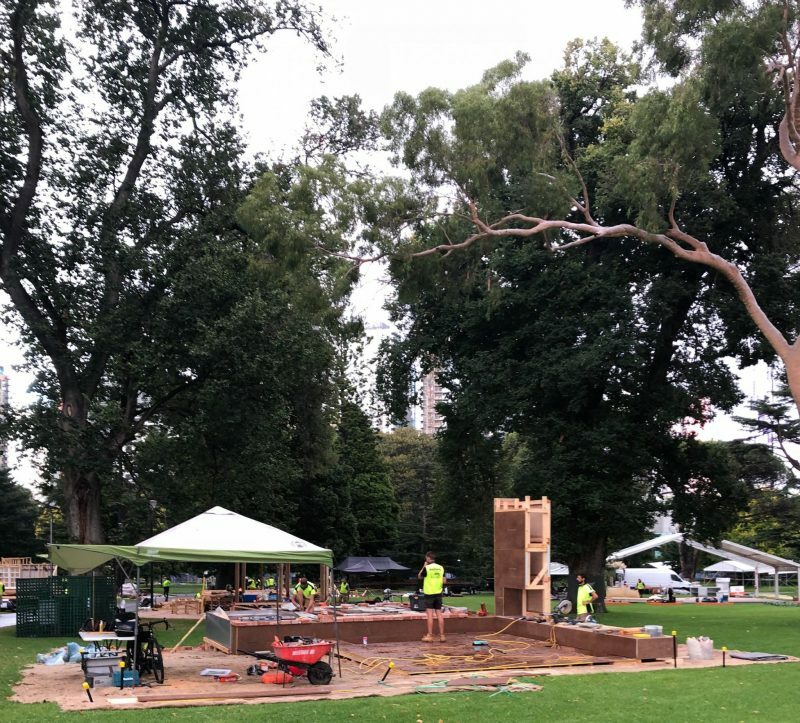 Finishing touches – glorious furniture from Grazia & Co, lighting from Light on Landscape, plants and pots from The Plant Society and The Balcony Garden, custom cushions by Bindi Howarth, Angry Ant Gin – important to stay hydrated – from Bass & Flinders Distillery. We had an absolute ball working on MIFGS – thank you to all who helped make it possible. Morning, visited the garden at Ming’s, please may I have your plant list? sure thing, I just emailed you the list. Congratulations on taking out multiple awards at this year’s MIFGS. Well done to all involved.